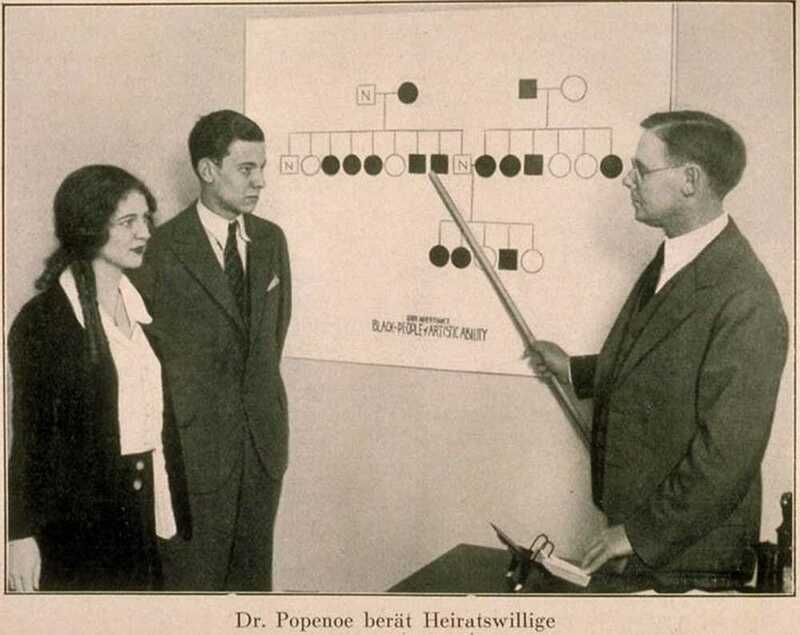 Eugenicists like Paul Popenoe relied on dangerously flawed theories of heredity to describe different groups of people. Popenoe shows a couple a pedigree of "Black People of Artistic Ability," 1930. Credit: Cold Spring Harbor Laboratory. In 1960, the Ladies’ Home Journal profiled one of its most popular columnists. Known as “the man who saves marriages,” Paul Popenoe was “infinitely wise” but “unusually modest,” happily married, and the member of a “brilliant family clan.” The famed marriage counselor was dedicated to “the preservation of a sound family life” and had what he called a “passion for parenthood.” What the Ladies’ Home Journal did not mention was that Popenoe was a eugenicist who had fervently supported forced sterilization. Popenoe’s path might seem unlikely, but it mirrored the culture at large; the “family-minded” society of Cold War America had its roots in the eugenic ideas of the 1930s. Born in 1888, Popenoe had grown up in southern California, where his father worked in the avocado industry. Popenoe was initially interested in plant breeding, collecting date palm specimens for the family nursery. But by the 1910s, he discovered his passion was for a different kind of breeding: human. From 1913-1917, he would serve as editor of the Journal of Heredity. A decade later, in 1926, Popenoe’s interest brought him to Altadena, California to begin a new research project. Ezra Gosney was a wealthy philanthropist, lawyer and avid eugenicist in the process of incorporating a new foundation to research and promote the practice of eugenic sterilization; he would call it the Human Betterment Foundation. Gosney had hired Popenoe to survey the practice of eugenic sterilization in California institutions for the insane and feebleminded. Remarkably, Popenoe found that sterilization seemed to “improve” their conditions—as well as solve social problems. 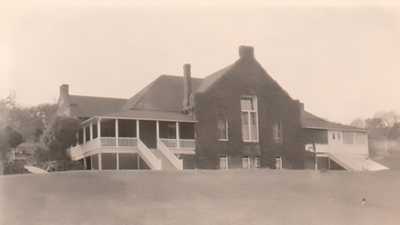 One social worker at Sonoma noted that while most of the adult females had been “promiscuous” and many of them “prostitutes” prior to coming to Sonoma, following sterilization and parole, “in no case has a girl under my observation exceeded her former record.” Another claimed that many of her cases had formerly been prostitutes but were “now out earning their way in various occupations.” The Human Betterment Foundation promoted these observations in two popular books: Sterilization for Human Betterment: A Summary of Results of 6,000 Operations in California, 1909-1929 (1929), and Twenty-Eight Years of Sterilization in California (1938). Popenoe’s findings would then be used as evidence to support the creation of eugenic sterilization laws in other states. But restricting the procreation of the so-called “unfit” wasn’t all that preoccupied Popenoe and like-minded eugenicists. To truly improve the genetic quality of the population, they also had to encourage greater production from the “fit” — whom they considered to be white, middle-class families. By the 1930s, that mission seemed especially grave. 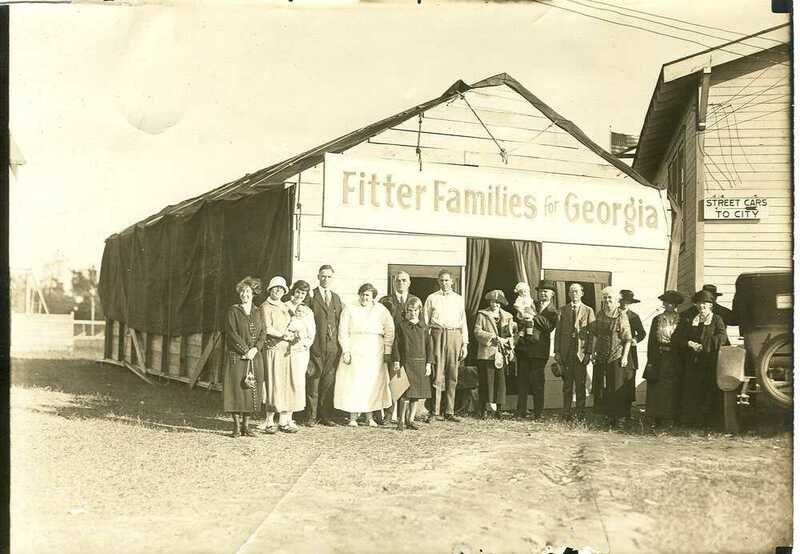 Much like livestock competitions judged the best-bred pigs and horses, “Fitter Family” contests judged the most eugenically fit families at state fairs across the country. 1924. Credit: American Philosophical Society, Eugenics Record Office Records. The Great Depression had a destructive impact on the American family; by 1933, 25 percent of America’s workers were unemployed. Average family income decreased 40 percent. Unemployment and lowered living standards undermined men’s self-esteem and resulted in a high rate of family desertion. By 1940, over 1.5 million married women were living apart from their husbands. The number of marriages dropped precipitously as well. But the most dramatic decline was in the birthrate, which for the first time in American history dropped below the replacement level. During the 1930s, Americans produced nearly three million fewer babies than they would have at the 1929 rate. Most middle-class couples limited their families to two children. To many eugenicists, these trends underscored the importance of stable marriages and families to prevent “race suicide,” an alarmist term coined by sociologist Edward A. Ross. And so, in 1930, eugenicists began to shift their focus from preventing procreation of the so-called “unfit” to promoting the marital and family stability of the white middle class. Front and center in this campaign was Paul Popenoe, who opened a marriage counseling center in Los Angeles in 1930. The American Institute of Family Relations was “the first organized attempt in the United States to bring all the resources of science to bear on the promotion of successful family life.” While in 1932 there were only three marriage counseling centers in the entire U.S., by 1968 there were 1,800 licensed marriage counselors in California alone. The Ladies Home Journal declared that the Institute was the “world’s largest and best-known marriage counseling center” and boosted its fame by regularly featuring articles by Popenoe between 1942 and the 1960s. This series – which in the 1950s came to be called “Can This Marriage Be Saved?” – featured success stories of couples who had turned to his marriage counseling center for guidance. The journal called it “the most popular, most enduring women’s magazine feature in the world.” Each article, based on case records from the American Institute of Family Relations, included a particular message about marriage for women, to whom responsibility for the relationship invariably fell. When he opened his institute in 1930, Popenoe had bet that eugenicists would have more influence promoting propagation of the "fit" than restricting the "unfit." He had guessed right. Eugenic sterilization as a means of curtailing the "weaker" elements of the population peaked in the 1930s and then began a slow decline in the 1940s, after it emerged that Nazis had performed forced sterilizations on their victims. But eugenics theories in the form of marriage and family counseling proved more lasting. By 1947, the baby boom birthrate was up to 25 percent (from a low of 18.7 percent in 1935) and was stabilizing. 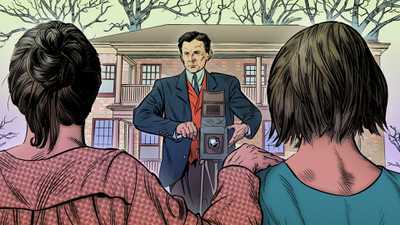 The 1950s would witness an unprecedented celebration of motherhood, which one journalist called “an absorbing, creative profession—a career second to none.” A new notion of “family togetherness” emerged along with the proliferation of family goods: the family car, the family restaurant and the family film. While postwar abundance supplied the means for achieving suburban bliss in the 1950s, the emphasis on baby-boom family culture stemmed in part from the influential promotion of procreation by eugenicists like Paul Popenoe. When Paul Popenoe died in 1979, his Institute had grown to seven branches in Southern California, and claimed to have salvaged the marriages of over 75,000 couples. But by the late 1970s, Popenoe’s message had lost much of its impact. Feminism and the sexual revolution challenged his conservative message of marital satisfaction based on traditional gender roles. Marriage counseling as a field developed a more integrative approach to problem solving that attempted to take into account individual needs and desires. 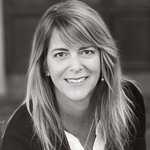 Wendy Kline is professor and Dema G. Seelye Chair in the History of Medicine in the Department of History at Purdue University. She is also the creator and director of the Medical Humanities program at Purdue. Her writing focuses on controversies surrounding women’s reproductive and mental health. Her latest book, forthcoming with Oxford University Press, is entitled Coming Home: Medicine, Midwives, and the Transformation of Birth in Late-Twentieth-Century America.